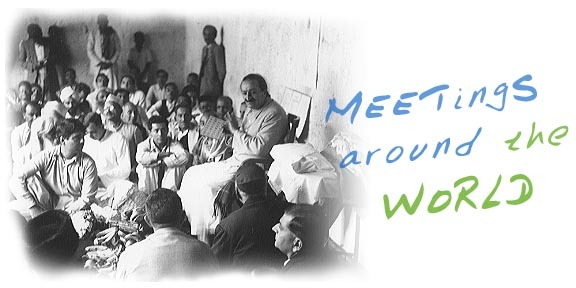 This section provides a list of the groups and centers around the world that hold meetings or sponsor other activities connected with Avatar Meher Baba. The nature of these meetings varies with each group, usually including some combination of talks, films and music about Meher Baba. Please consult each location to confirm the schedule and activities planned for particular meetings. To add a new group or center, or to update the information about a group, please send an email message to the Webmaster.